I'm spending this Thanksgiving at home in Hawaii with my family, and I could not be happier. Yesterday was a lazy day filled with family bonding time, tons and tons of food, and one afternoon showing of Burlesque with mom. Perfect. 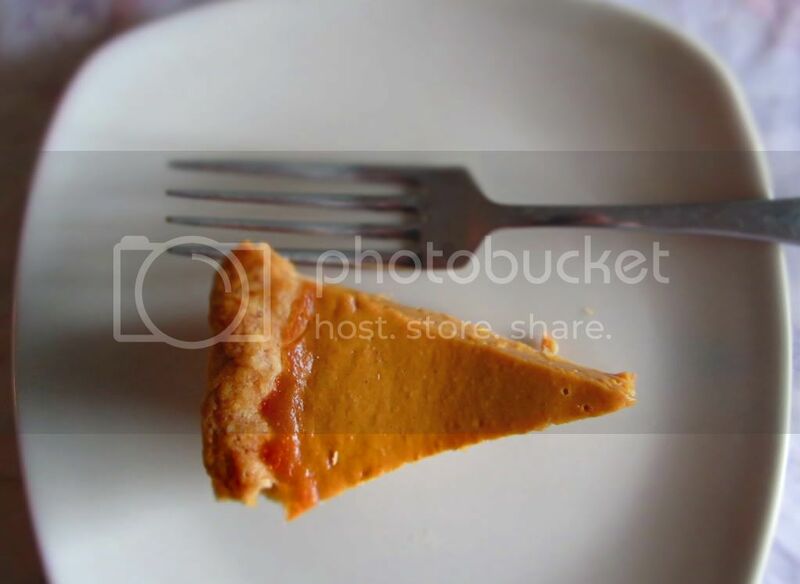 It's 80 degrees and sunny here and I'm about to head to the North Shore for some beach time with my brother and little niece, but I thought I'd post this recipe for the pumpkin pie I've eaten for the last two days before I go. For the pie dough: Mix flour and salt together in a large bowl. Using a pastry cutter or 2 table knives, work shortening into flour mixture until it resembles coarse meal. Sprinkle cold milk over dough and mix with your hands until it holds together. Divide dough in half, shape into 2 balls, and flatten each into a disk. Wrap each in waxed paper and refrigerate for at least 1 hour. Roll 1 of the dough disks out on a lightly floured surface into a 12" round, then fit dough into a 9" pie dish and crimp the edges. Repeat process with remaining dough. Prick dough all over with a fork and transfer pie shells to the refrigerator to let chill for 30 minutes. Preheat oven to 425°. Mix sugar, cinnamon, ginger, cloves, and salt together in a small bowl. Whisk eggs together in a large bowl, then add pumpkin and the sugar–spice mixture, stirring until mixed well. Gradually stir in the evaporated milk. Divide filling evenly between the pie shells. Put pies into the oven and bake for 15 minutes. Reduce oven temperature to 350° and bake until filling is just set in center of each pie when pies are jiggled slightly, 45–60 minutes. Let pies cool for at least 2 hours before serving. yum yum yummmm who doesnt love pumpkin!? Yum! You're right, such a classic. I'm sooo jealous of your 80 deg weather!!! Lucky girl!